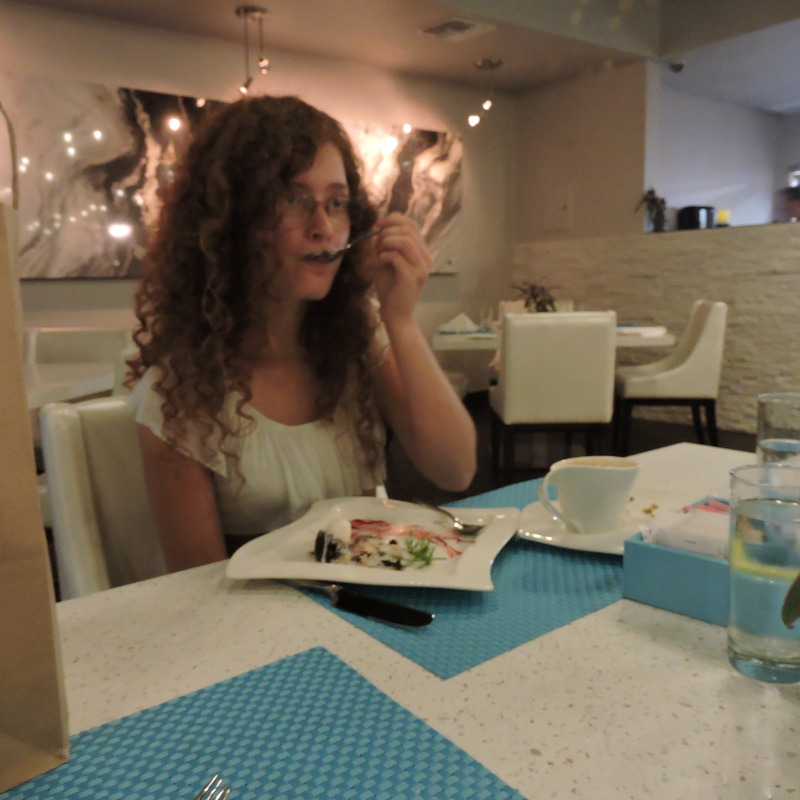 Our family recently had the opportunity to visit the Tabla Restaurant at 5827 Caravan Ct, Orlando, FL and sample their Indian, Chinese & Thai cuisine. We decided to go on a weeknight for dinner without reservations. We were greeted very warmly when we entered the restaurant and seated quickly. With 7 in our party, we were given a table near the front that gave us ample room. The room was upscale, the seating very comfortable. Our waitress was very attentive from the start and described the menu items. The menu was a surprise. We had studied the website menu, but the menu we were given was much different. We each chose different drinks, hoping to sample a variety. All drinks were very good, but two stood out. We ordered a variety of appetizers and found them to be delicious. The serving sizes were average to large. 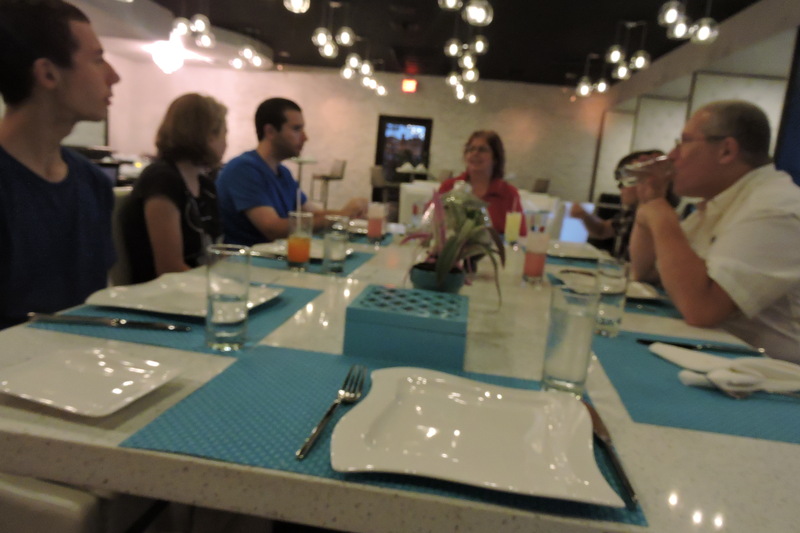 Taking 7 people to dinner to test the foods gives the opportunity to truly sample a wide range of menu items. Each item we sampled was excellent. Portion sizes were more than enough. 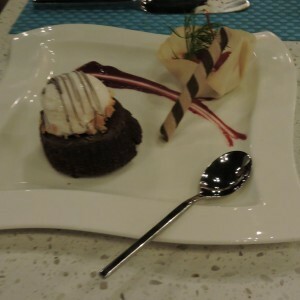 Everything was prepared very nicely with an elegant presentation. One very nice touch was the personalized service. No one knew we were there reviewing the restaurant; we were just everyday customers. Yet we were made to feel quite special. An example was when one of my daughters dishes was a little spicier than she had anticipated. We had warned her to select mild but she chose medium spice. About half way through the meal, she felt a bit overwhelmed with the heat. She said something quietly to me, but the waitress overhead and quickly mentioned to the chef who sent her a special “cool down” beverage. We all appreciated the thoughtful gesture! Desserts were also incredible. Throughout the night, there was not one dish that was not very good to excellent. Some we preferred over others, but all were very good. As I’ve mentioned, service throughout was impeccable. We disclosed our reason for visiting after dessert. 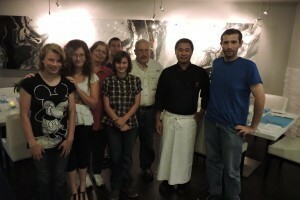 The staff was all very polite and they were quite willing to have pictures taken with us. Everyone was warm and friendly! 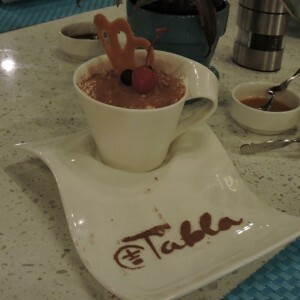 Tabla is a wonderful restaurant with a varied menu, a comfortable atmosphere, a staff that strives to please, and an extremely talented and personable chef. When you visit, let them know that you heard about them here. And please leave a comment here with your experience at Tabla.
.***Disclosure: We are a review site that receives compensation from the companies whose products we review, usually in the form of free products and/or commission from affiliate links. We test each product thoroughly and give high marks to only the very best. We are independently owned and the opinions expressed here are our own. If you use the affiliate links on this site, your cost will not be affected.